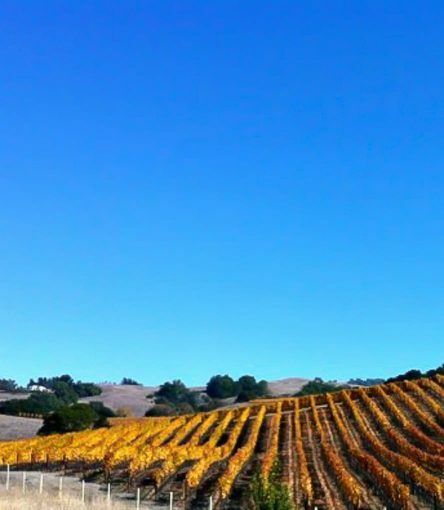 Sonoma is synonymous with wine, and boasts a spectacular landscape of rolling hills, quiet country roads and coastal access perfect for a self-guided cycling trip. Biking through Sonoma wine country is a delight for wine lovers, bike enthusiasts, and casual tourists alike. Food ranks high here too; the farm to table movement thrives and tradition is honored in each element of food production and enjoyment. This tour is available May 1 – October 31 upon request. 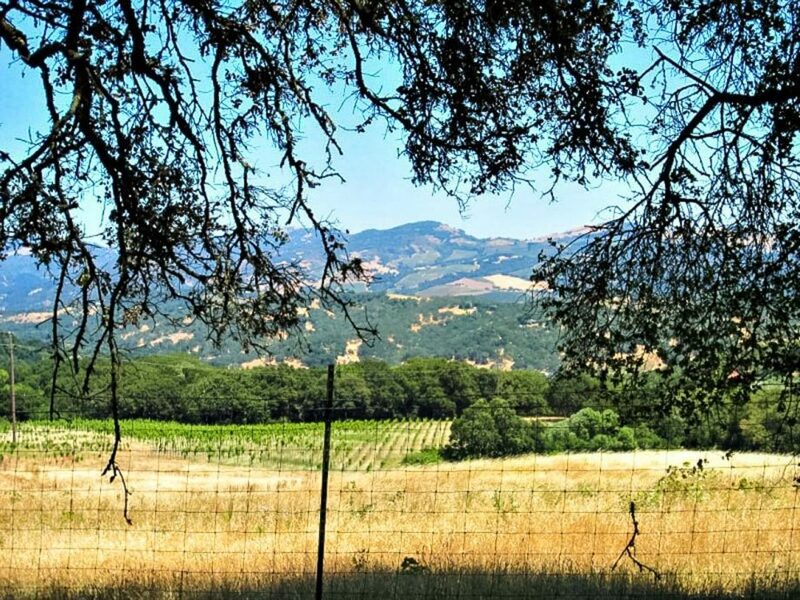 Breathe in fresh Sonoma Wine Country air and take in the views as you travel off the beaten path and pedal down roads that only the locals know. 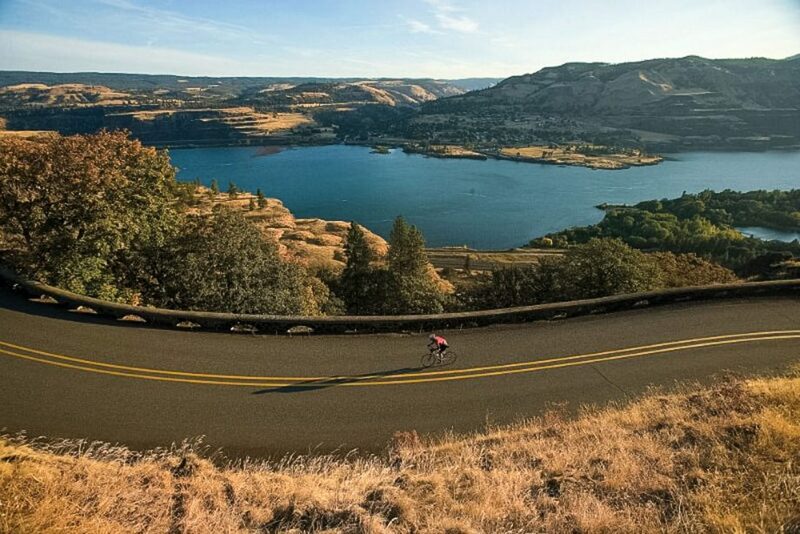 This self-guided cycling trip is a one-of-a-kind journey. Begin your journey with a ride to Sebastopol, a fantastic launching point for true road riding, then travel to the quaint town of Glen Ellen with a stop at the beautiful Jack London State Park. Next you ride north along the world famous to Healdsburg, one of the jewels of wine-country destinations. The restaurants are world-class, the evening walks intoxicating, and the roads top-notch! Complete your journey with a scenic bike ride south to Rohnert Park where this trip ends and your next adventure begins. 12:00pm | Upon arrival at the DoubleTree Hotel in Rohnert Park, one of our trip experts meet you in the lobby and prepare you for your wine country bike trip ahead! You will review the provided Route Book and all hotel reservations in detail. After getting to know you and the cycling tour you are looking for, our staff may suggest customized rides or activities to enhance your week. Next, they will provide a brief check over your bike to ensure you have a good understanding of the equipment and that it is set to fit you appropriately, then you hit the road! When you arrive at your hotel in Sebastopol by bike you will find your luggage waiting for you at the bell stand. Enjoy your first night relaxing, settling into your accommodations and enjoying dinner at the hotel or at one of AOA’s restaurant recommendations. Today is a day of options. There’s so much to see and experience from the saddle on your first full day of riding. Check out the mileage, elevation, and points of interest and pick the ride that suites you most! Option 1: Sweetwater, Mays, Green Valley, 46 miles / 2800 ft elevation gain. Sweetwater Springs is a local favorite. It connects Dry Creek Valley to the Russian River Valley. Sweetwater Springs has two challenging climbs, with one section boasting grades up to about 16%, but only briefly. The initial descent into the Russian River Valley is technical but the road surface is very smooth. The Russian River Valley area is known as one of the best places in the area to look at redwood trees. This route offers the option for a short detour to Armstrong Redwoods, well worth the extra mileage! Make a short stop at Guerneville for a break at Coffee Bazaar. Two more climbs will wrap up this ride. Option 2: Sebastopol Bodega Bay, 41 miles / 4,500 ft elevation gain. Another local favorite, this short-ish ride has plenty of punchy climbs, technical descents, and occasional flat roads. The huge advantage of this ride is you may see no more than 5 cars on Bay Hill and Coleman Valley Roads combined, giving you solid mileage on quiet, scenic roads. Option 3: Sebastopol Marshall Loop, 74 miles / 5,000 ft elevation gain. This longer route extends south for a bike along the famed Pacific Coast Highway. After about 5 miles of riding alongside Tomales Bay (home of the San Andreas fault), you turn inland and climb the Marshall Wall. A lot of beautiful country roads await you here. The ride along Tomales Bay is very beautiful, but be prepared for a workout because you’re either climbing or descending with and without technical cornering. It takes constant effort to keep a fast pace on this kind of terrain, a great ride for a confident cyclist. 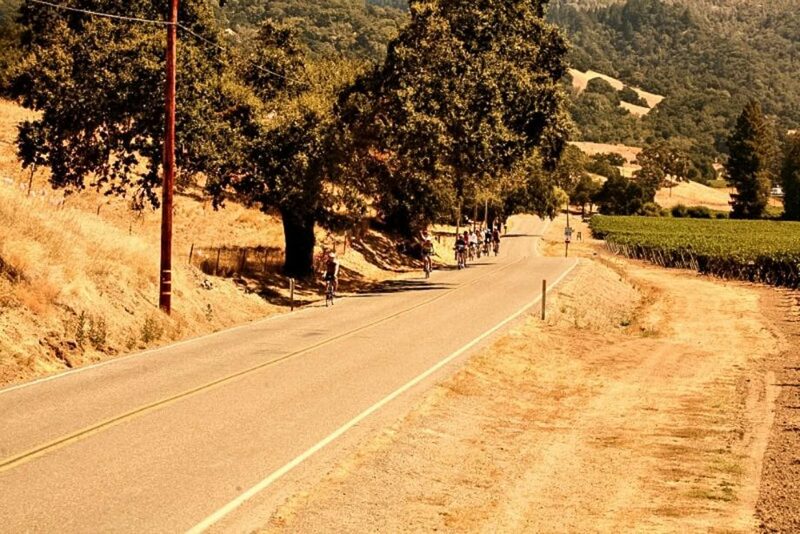 Leave your bags with the front desk this morning and hop on your bike for the ride to Glen Ellen, CA. You will depart Sebastopol and gradually work your way south and then east to the base of Sonoma Mountain. Very measured climbing begins on Roberts Road then becomes steeper as you approach the summit. Perched high on Sonoma Mountain with over 1,400 pristine acres and 26 miles of trails to explore, Jack London State Park is an outdoor paradise with a rich, colorful, and well preserved history. 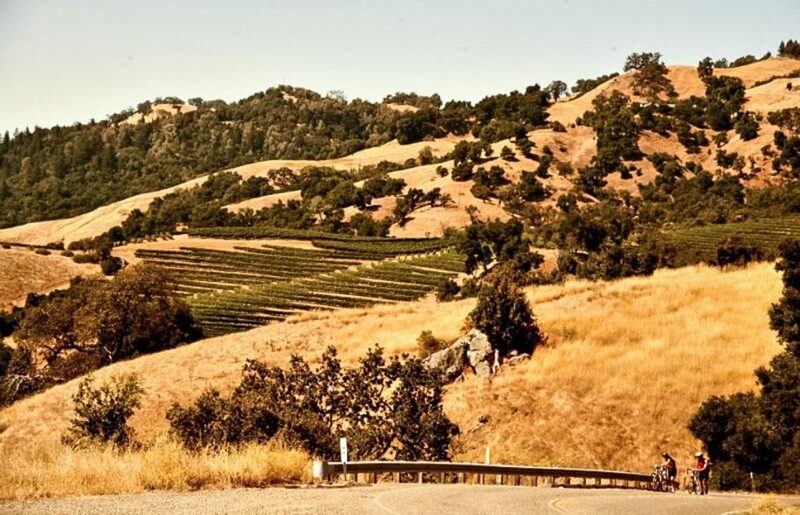 The climb on London Ranch Road is mostly gradual and along this road is the famous Benziger Family Winery, known for its bio-dynamic farming practices and fascinating history. Over the top there is a short descent to Sonoma Mountain Road which will take you to the outskirts of Glen Ellen. Many sections of this mountain road are shaded by a forest canopy that’s punctuated by hillside vineyards and stunning views. Take an evening stroll through Glen Ellen to shake out those legs after your ride and visit one of the several restaurants nearby. 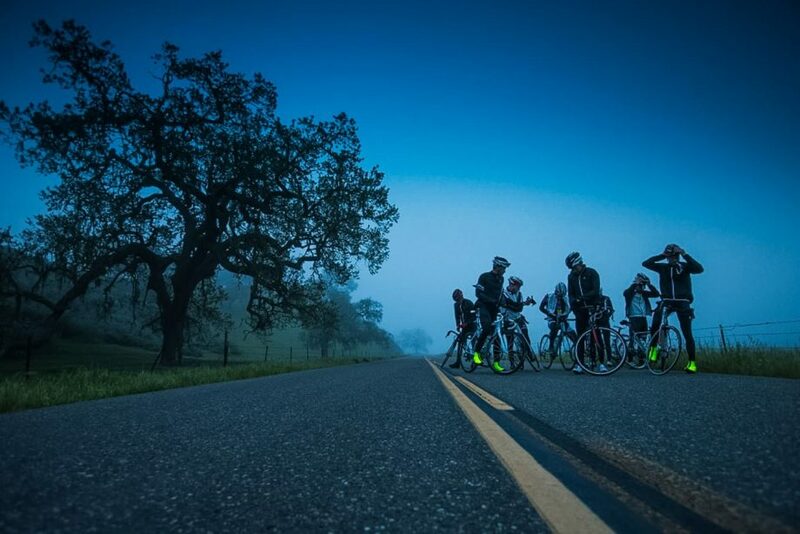 Depart the quaint village of Glen Ellen for Healdsburg, CA and get ready for some really fantastic Napa Valley cycling today. A short ride from your hotel will bring you to Cavedale Road and your climb for the day. This road gets very light traffic and the grade is mostly gradual with a couple of short punchy sections. After the summit there is a slight technical descent to Trinity road where you turn right and continue to Napa Valley. The trip north through Napa Valley follows the famous Silverado Trail all the way to Calistoga. World‐class vineyards and wineries line this scenic paradise, so if you are looking for a location to take a break then this would be a great choice. Continuing north from here you leave Napa Valley and enter Knights Valley and Alexander Valley before arriving at your destination. Healdsburg is one of the jewels in wine‐country destinations. The restaurants are world‐class and evening walks are intoxicating. Enjoy! Relax and enjoy a second day in Healdsburg. Today is another day of options where you can choose the loop ride that suits you most. Check out the mileage, elevation, and points of interest before selecting your route. Option 1: Pine Flat, 37 miles / 3900 ft elevation gain. This out‐and back is a popular road for those that want to school their climb. Since this road is a dead end, traffic is pretty light. The first part of the climb is mild but the last bit has grades up to 20%. Option 2: Geysers, 56 miles / 4300 ft elevation gain. Geysers Road is a long stretch of remote back road. One of the best things about this road is that in 25 miles of riding you are likely to see very few cars or even have the road all to yourself. After the first two climbs you have a long gradual descent into a long and deep canyon. If you’re from an area where canyons are uncommon then this ride is a treat. Option 3: Westside/Chalk Hill, 54 miles / 1800 ft elevation gain. Cycling is certainly not all about climbing; sometimes you just like to go fast and far. This loop is one of many variations of valley loops that take advantage of the flatter roads that also have minimal car traffic. Parts of these roads are used in various triathlon events and you can routinely see teams practicing here. Your final bike ride on this Sonoma bike tour is from Healdsburg to Rohnert Park. The route is fairly direct while also managing to avoid major traffic areas. South of town you will cross an historic bridge over the Russian River and then cruise along Old Redwood Highway and Starr Road. After you pass the town of Windsor the roads will become more rural with light traffic and scenic rolling hills. The route then turns onto the Santa Rosa Creek Trail, a popular east‐west corridor for cyclists wanting to avoid the urban Santa Rosa traffic. Getting through Santa Rosa is easy, and then it’s a few short miles to Rohnert Park. Upon arrival at the DoubleTree Hotel you can collect your luggage and leave your rental bikes with the bellman.